Most powerful and high-performance Ferrari road car yet. Ranks as one of their finest achievements to date. 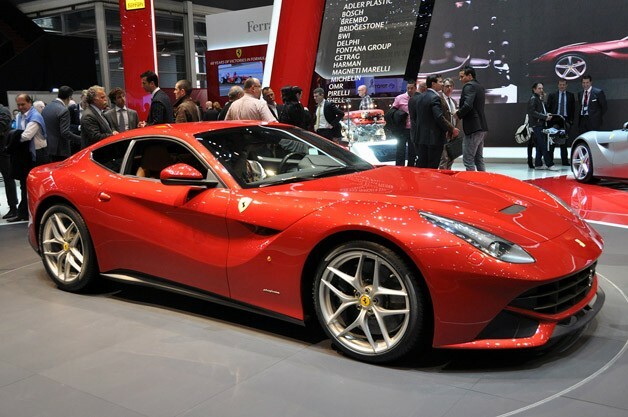 The launch of a new Ferrari is always a special occasion for car guys. 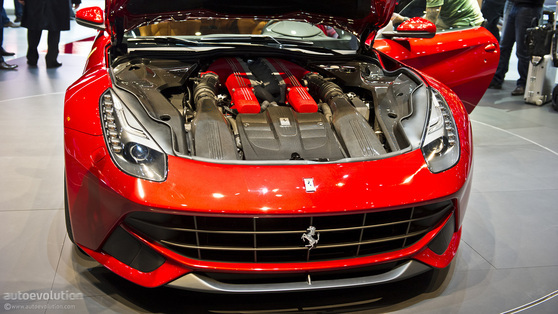 The launch of a new front-engined V12 Ferrari is downright the occasion of the decade (that is of course until the new Enzo is announced). Let’s start with the important stuff. This is the most powerful and high-performance Ferrari road car ever built. The F12berlinetta’s 6.2 liter V12 engine delivers 740 horsepower and 690 Nm of torque, 80 per cent of which is available at just 2,500 rpm and it revs to a stratospheric 8,700 rpm. 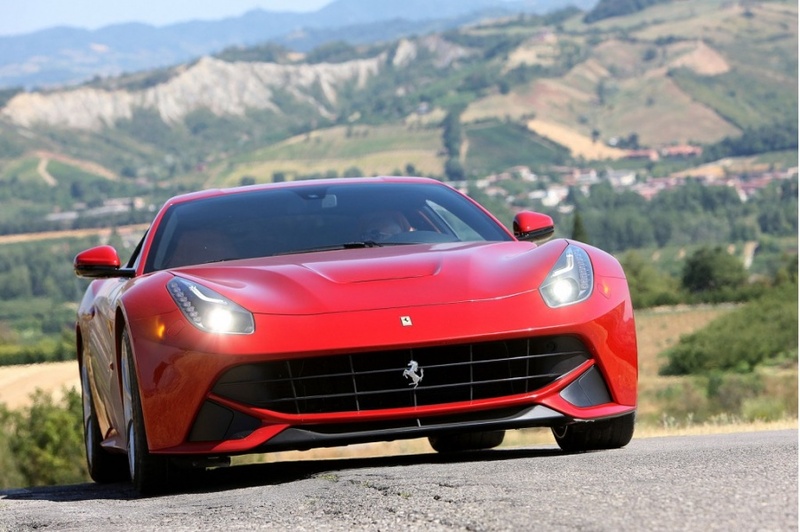 Why would you ever want a forced induction engine when the likes of Ferrari and Lamborghini continue to churn our gems like this. "Save naturally aspirated V12s". As expected the headline performance numbers are nothing short of amazing. 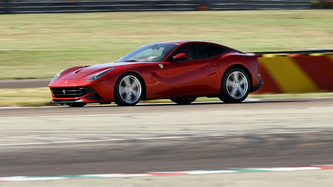 Acceleration from 0-60mph in 3.1 seconds and from 0 to 125mph in 8.5 seconds. It is also the fastest Ferrari road car ever around the famed Fiorano circuit in 1 minute and 23 seconds, that’s faster than the Ferrari Enzo for gosh sakes. 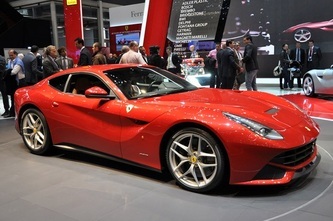 Once again Ferrari has decided to use aluminum in most of the construction, rather than the more expensive carbon we see on most exotics these days. 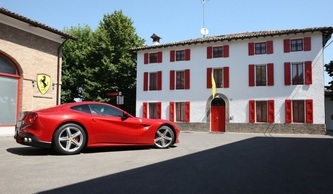 Ferrari reckons it is easier to repair and the weight saving of carbon just isn't worth the trade-offs. The space frame chassis and body use 12 different kinds of alloys, some of which have been used here for the first time in the automotive sector. 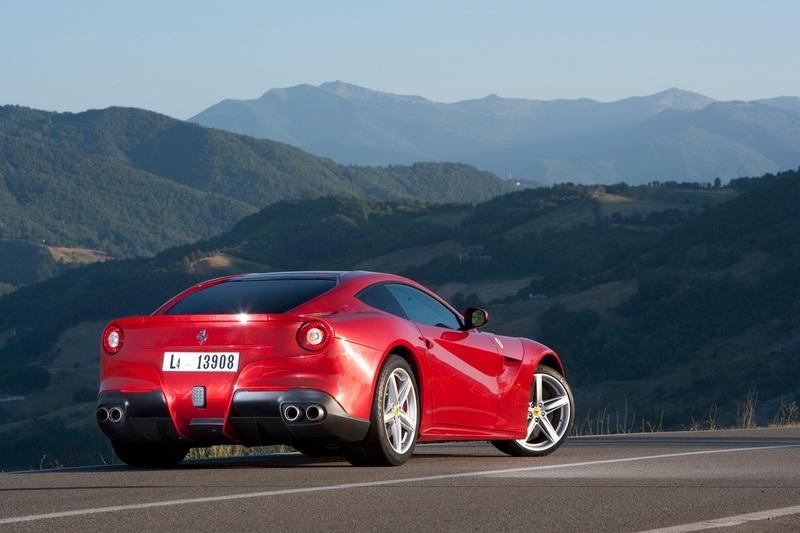 Overall, it means a 20 per cent increase in structural rigidity while reducing weight to just 1525 kg (70 kg less than the 599). 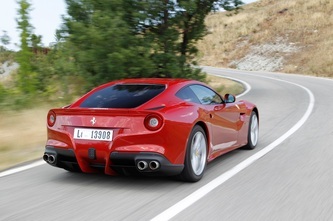 Weight distribution is perfect as always 54 per cent over the rear. 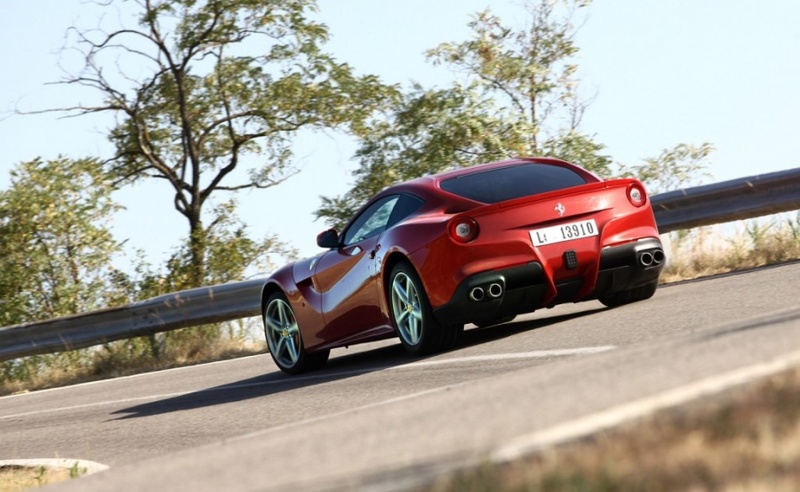 The other impressive part of the new Ferrari is the continuation of the trend started with the 458 of using advanced aerodynamic development to really take performance to another level. 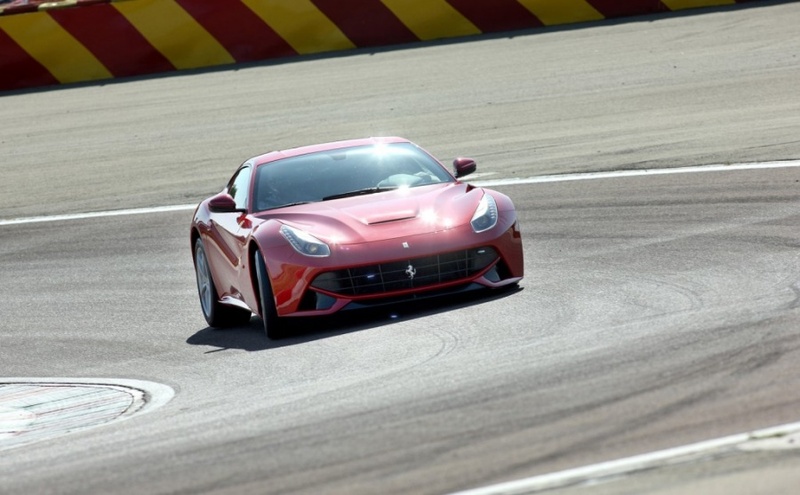 Downforce in this car has been boosted by 76 per cent while drag has been significantly reduced (the Cd is just 0.299) as a result of two new solutions. 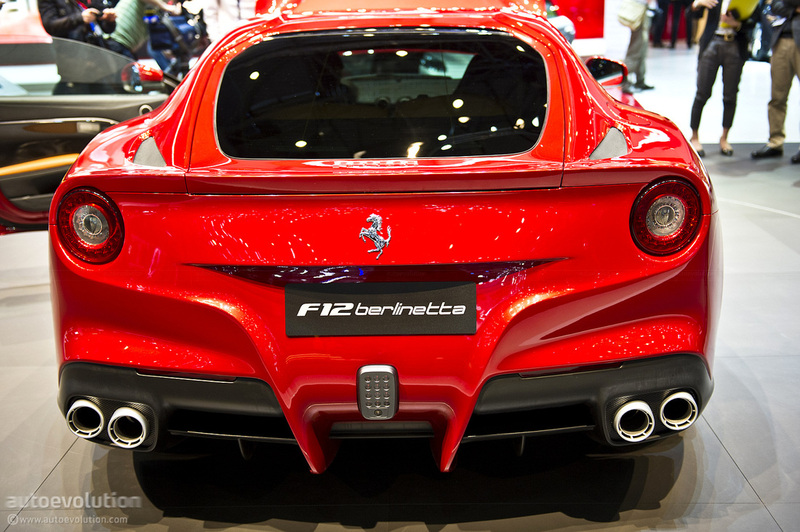 The first of these is the Aero Bridge that uses the bonnet to generate downforce by channeling air away from the upper part of the car to its flanks where it interacts with the wake from the wheel wells to decrease drag. The second is Active Brake Cooling, a system that opens guide vanes to the brake cooling ducts only at high operating temperatures, again reducing drag. 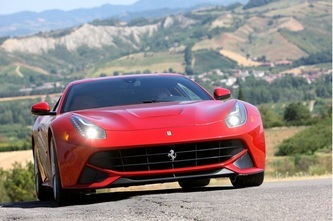 It is still early days, but early test drives (see videos below) suggest that this is another one that Ferrari knocked out of the park. Power, performance, passion. 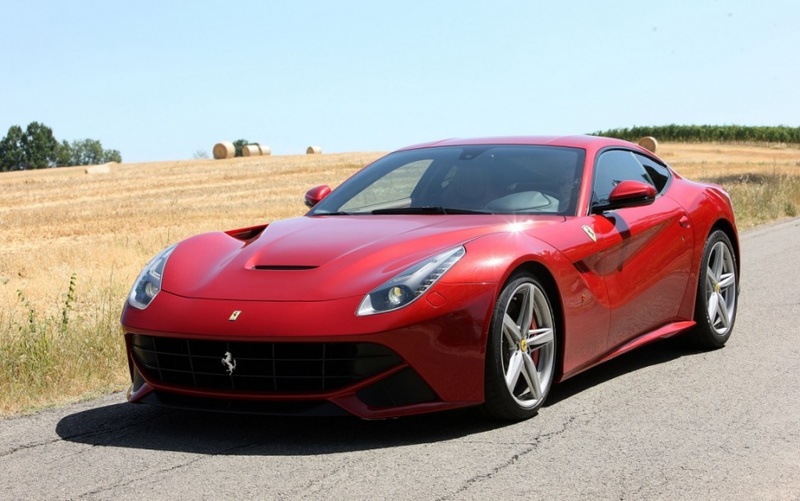 That describes most Ferrari road cars, but it is perhaps most accurate about Marinello's latest masterpiece, the F12berlinetta. Officially Ferrari's fastest road car to date is is a motoring fantasy. 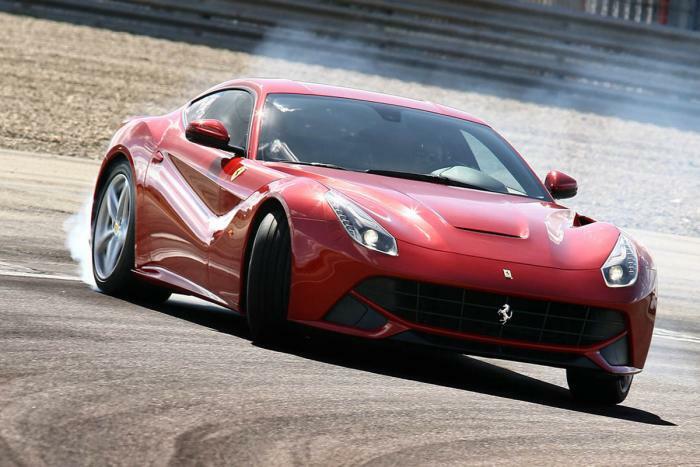 As always the great folks from Evo, Top Gear and other motoring publications have been nice enough to thrash the F12 and share the videos online. 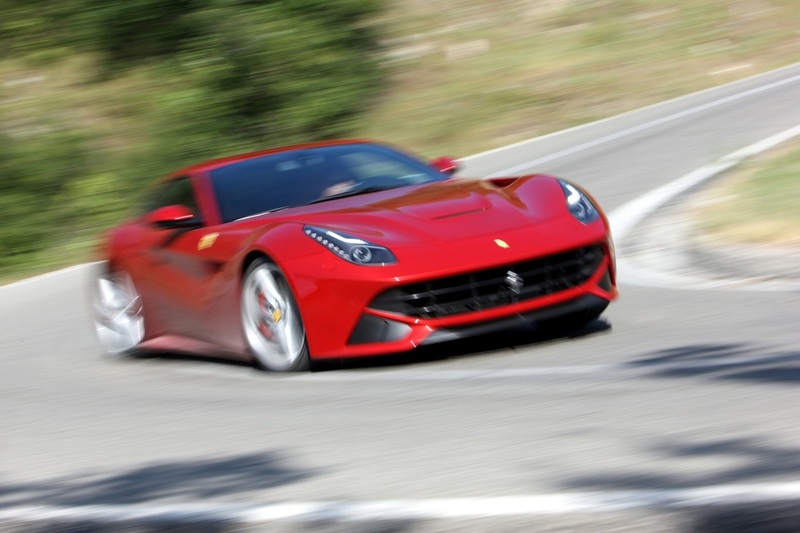 While there are quite a few videos of the F12berlinetta in full flight (you can see them all on our Youtube channel) here are our favorites. 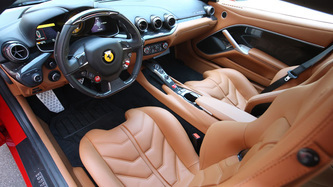 The engine is mated to the F1 dual-clutch transmission, which has closer gear ratios developed specifically for this car’s performance. The F12berlinetta boasts a weight-to-power ratio of just 2.1 kg/CV . The result was always a foregone conclusion. This Ferrari is fast. The new Prancing Horse 12-cylinder accelerates from 0-100 km/h in 3.1 seconds and from 0 to 200 km/h in 8.5 seconds. 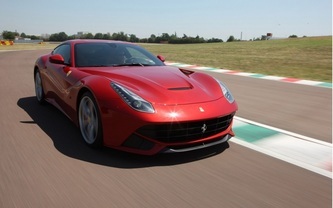 It also completes a lap of the Fiorano circuit in 1’23”, faster than any other Ferrari road car. Benchmark performance and maximum driving involvement are guaranteed by immediate turn-in, with smaller steering wheel angles, and increased cornering speed. Stopping distances have also been drastically reduced. 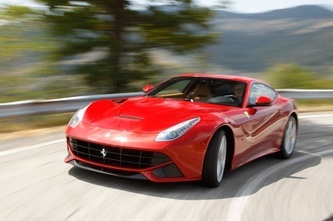 And I also hear that it is much more fuel efficient, which is great for those who care about that stuff. 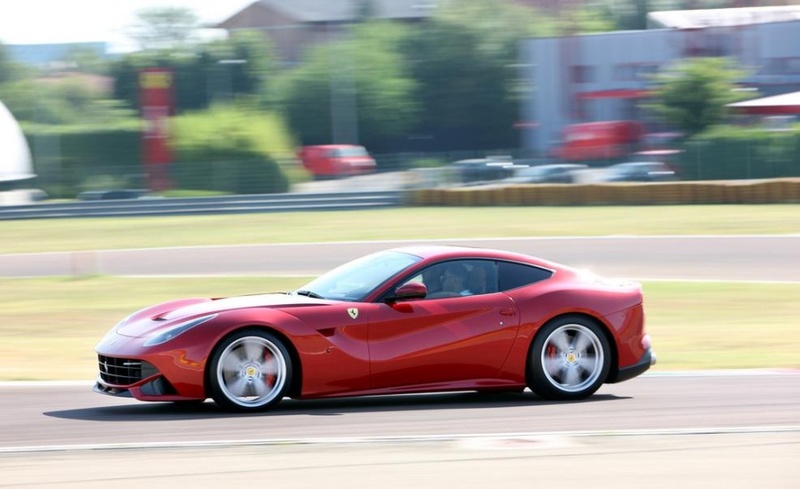 The F12 is so fast and brutal in response to the smallest input that you are constantly busy, and it is definitely more supercar than GT. There’s a welcome layer of everyday usability, too, though. But it certainly feels a happier car when you come across a long, dark tunnel. Windows down, flack, flack, flack on the left-hand paddle, pin the throttle and instantly you could be in Monaco in Grand Prix week. 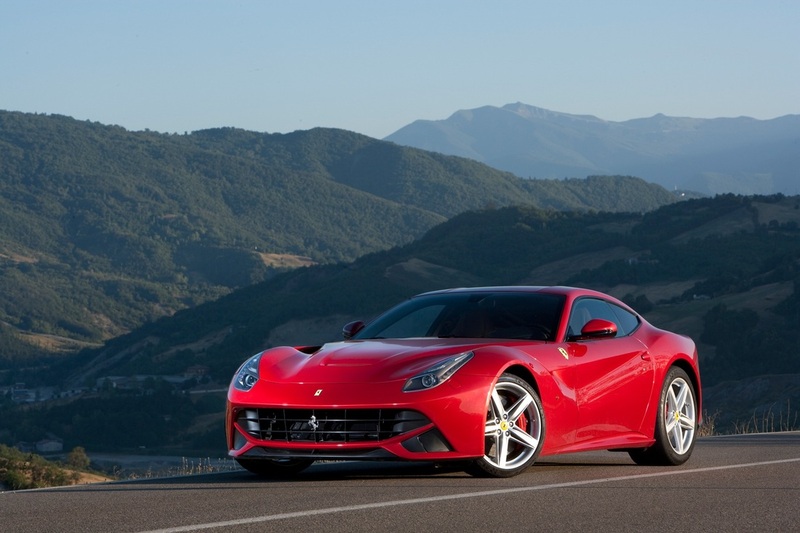 From the screaming exhausts as you’re hurled through the darkness, to the loud crack as a gearchange fires through and extinguishes the red LEDs on the top of the steering wheel, the F12 is pure race car. 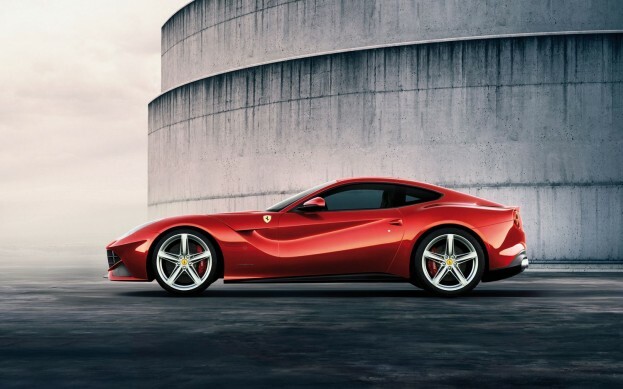 For a few brief seconds of acceleration it completely fills the tunnel, howl reverberating off the ceiling, the noise gaining that distinctive cavernous echoing depth before shrinking in an instant as you burst back out into the daylight. Incredible. Sometimes a car comes along that takes accepted performance and turns it on its head, pushing limits further and further. The Ferrari F12 is one of those cars. An enormous 730bhp and 509lb ft V12 driving exclusively through the rear wheels seems like enough I guess. 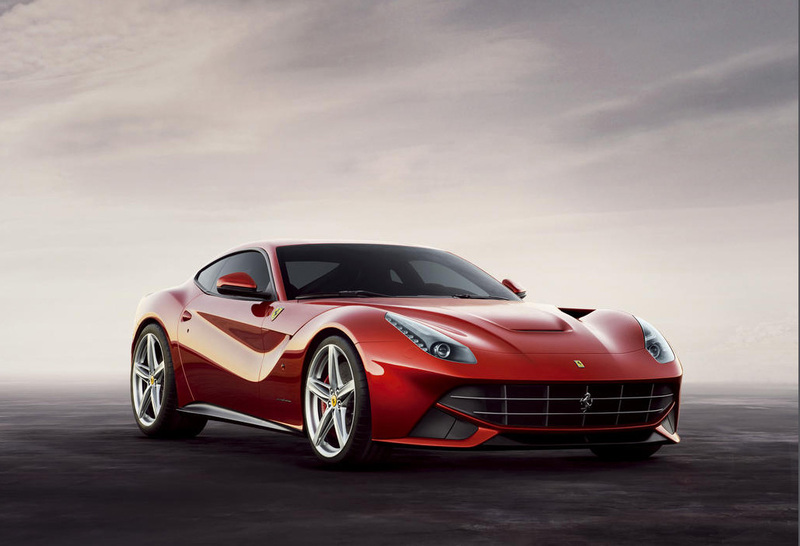 But perhaps the hardest thing to do is manage tremendous performance with beautiful looks and this Ferrari F12 is a stunner. See the picture gallery below for proof.